Shiplap is out, and so is white subway tile. According to Houzz, 2018 interior design trends are here and ready to shakeup many of the styles that have dominated the next decade. If you think your house could use a makeup, consider using these techniques to give it a fresh look. For years, only the colored glass tiles were fit for the backsplash, then subway tiles became the most coveted look. In 2018, homeowners are going wild for pretty much any other look. 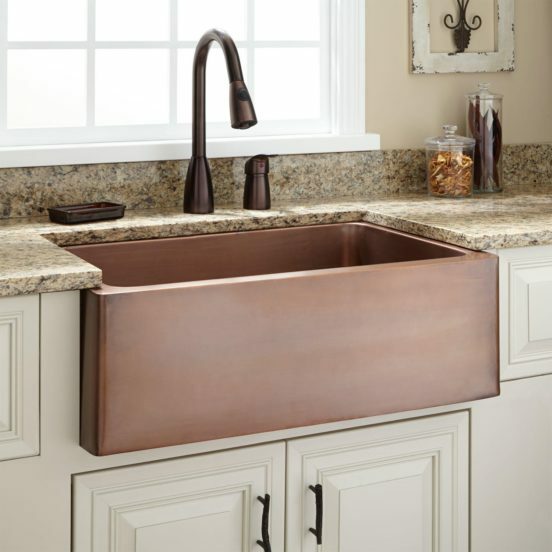 Many consumers are taking the backsplash all the way to the ceiling. This works well with another trend, which is using open cabinets or simple shelves rather than cupboards. New patterns are also becoming popular, like hexagons, as are exciting colors. As we head into 2018, people are still in love with the farmhouse look, especially in the kitchen. However, the large farmhouse sink in white porcelain is quickly fading. Homeowners are also tired of stainless steel. In its place, designers are seeing more people opt for copper, stone, or even concrete, in order to incorporate rustic materials into their design. Concrete had a brief moment in the early aughts and then it faded out, thanks to consumer obsession with granite. But in the past couple of years, granite became less popular, with white and grey marble becoming the status signifier in the kitchen. That trend, however, may be over. Concrete is being incorporated into countertop design again, and this time it’s better than ever. Cutting edge homeowners are even searching it out in furniture or lighting fixtures. Unlike marble or granite, the hard stuff is significantly cheaper, which is one more reason this industrial-design friendly material is hot. For a decade, understated neutrals in scales of grey and tan dominated wall paint. Now, room colors are changing to something warmer, like rust, dark grey, and even black. People are also returning to yellow. Expect more homeowners to add a statement wall in a color like teal or red. 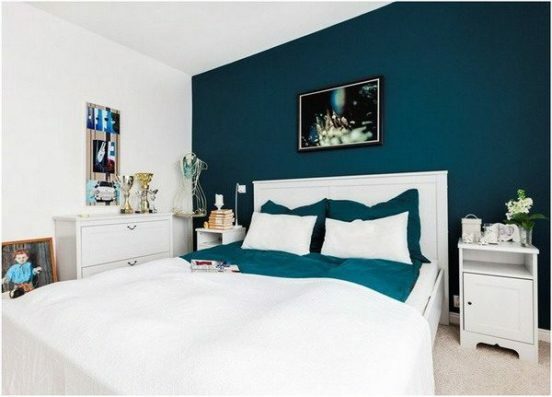 Adding color gives rooms an added dimension and changes the look of the wall hangings and pictures. White kitchens have been the holy grail in the 2000’s, with everyone rushing to incorporate white cabinets, white countertops and white subway tile. But homeowners are finally tiring of this trend – maybe keeping a white kitchen white is not as easy as they thought it would be! 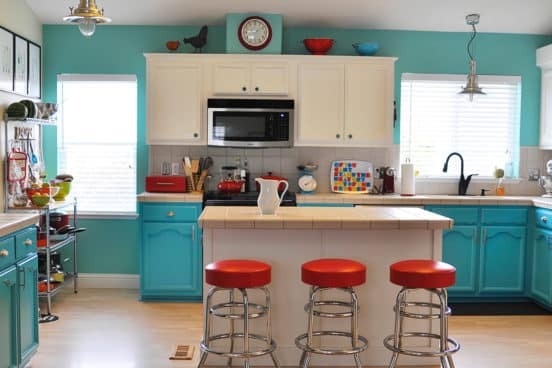 Now, decorators are turning their clients on to color. Rich browns and soothing grays are being seen more and more, while the more adventurous homeowners are opting for bright colors, like red. 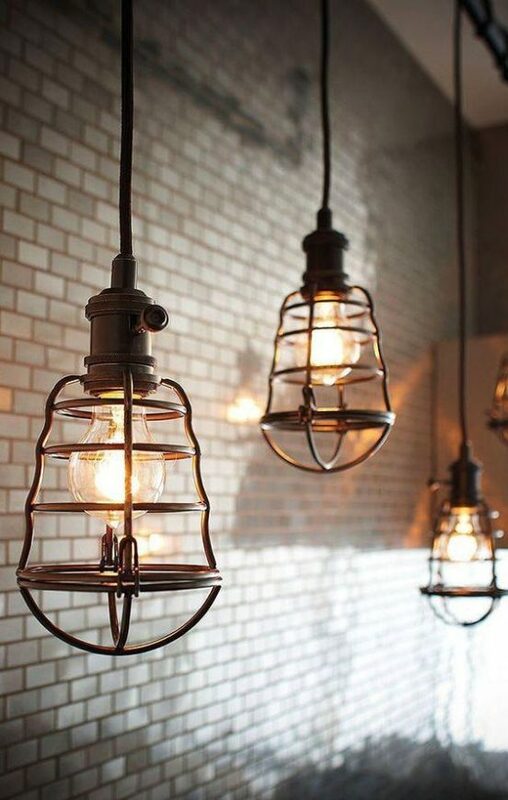 We’ve entered a boom time for light fixtures, with consumers going mad for everything vintage. Last year the Edison bulb exploded in popularity. This year, consumers are finding vintage fixtures, including lanterns, drum lights, and even chandeliers made from unusual materials. It helps that the retro fixtures are often made of the coppers and other rich patinas that are very much in vogue.